A compelling and intriguing novel of hope, love and loss set in the extraordinary landscape of Antarctica. Freya has come to Antarctica ostensibly to undertake a photographic expedition to retrace Frank Hurley's iconic photographs - but also to escape a stifling relationship. Once she is there, though, living in the cramped and close confines of Davis Station, the extraordinary world of Antarctica gets under her skin and she starts to unfurl, finding her world change in ways she would never previously had thought possible. Weaving in a vivid recreation of Douglas Mawson's ill-fated 191-14 Antarctic expedition into the contemporary story of a woman coming to terms with the end of her marriage, The Nature of Ice is a poetic, multi-stranded novel of present and past, hope and tragedy, love and loss. It is a both a love story and a heart-stopping, intensely moving polar adventure story - most of all though it is a story of place, bringing to vivid life the extraordinary landscape of Antarctica, the frozen continent that intrigues us all. It was over a decade ago that Robyn Mundy first went to Antarctica, and she has managed to return there every year since, working as an assistant expedition leader for a Sydney-based eco-tour company. In the summer of 2003-04, she spent a season living and working at Davis Station, Antarctica, as a field assistant. In 2008 she over-wintered at Mawson Station, Antarctica, where she worked on an emperor penguin project. Robyn has a Masters Degree in Creative Writing from the University of New Mexico, USA. 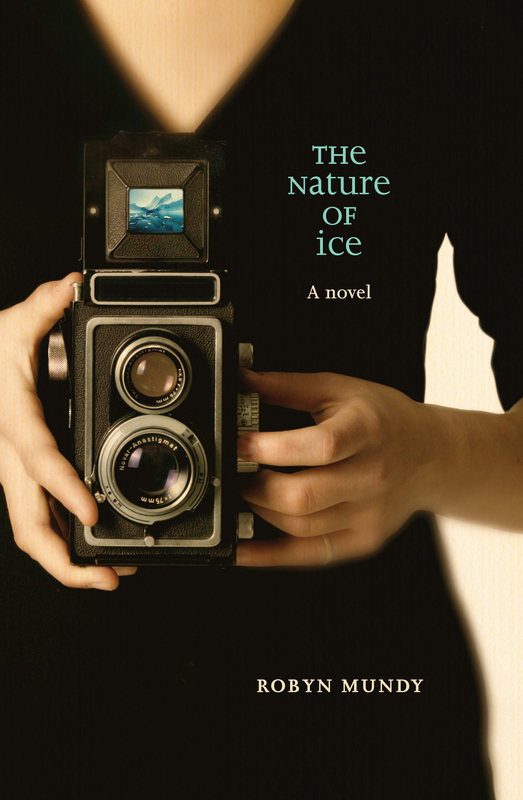 She wrote The Nature of Ice as part of a PhD in Writing at Edith Cowan University in Western Australia.